The Mentors Program is offered by Samata International. 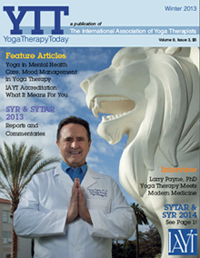 It is an optional supportive tool to enhance the learning experience of the Yoga Therapy Rx courses at Loyola Marymount University. It is designed to support the students at all three levels. The levels in the Mentors Program do not coincide with the Levels of the YTRX program, so you can choose the topics that you feel you will benefit from the most, from any level. All current students and alumni of the Yoga Therapy Rx Program at LMU are invited to join the optional Yoga Therapy Rx Mentors program. 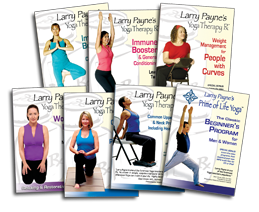 The optional Mentors Program can begin when you start the Yoga Therapy Rx course. 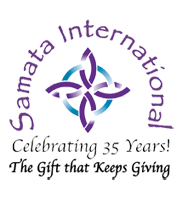 You will receive a separate certificate from Samata International for each level. 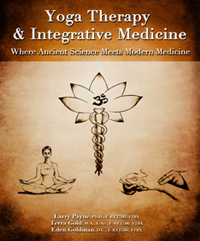 You can pick one or more topics from our Yoga Therapy Rx syllabus as focus of your mentorship. Select one or more mentors from our approved list to study with. Meetings can be in person, by phone, or by Skype. A session can be an hour each or longer. You can complete the required number of sessions at your pace to earn the certificates. A certificate is issued upon completion of each level. You may start the program any time during the Yoga Therapy course and continue even after graduating from the program in order to complete all 15 sessions. All YTRX Mentors have agreed to a very reasonable rate for students in our program. This is much less than many of them charge. You may pay the instructors as you go, you do not have to pay the instructors for all the sessions at once. 1) Download the Mentors Form and call the instructor that you would like to work with. 2) You will book and pay for the sessions directly with the mentor. 3) Keep track of everything on the form and submit to us at info@samata.com when you have completed the required hours for each level. Participants will receive a separate Mentorship Certificate from Samata International. Certificates are sent once Samata has received the Mentors Form and confirmed with the mentor. 1) All participants must receive a personal Yoga practice from one of their Mentors to qualify for certification. 2) Mentors have agreed to answer simple questions by e-mail that do not require more than five or ten minutes to formulate a response. Any questions: Please email or call 310-306-8845.